History of the Players: Where are they now? 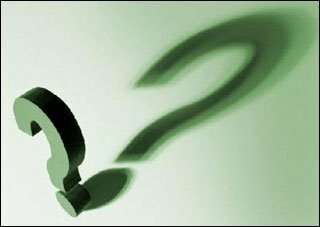 You may be asking yourself, “Self,” you ask, “where are they now?” And well you might ask. What happened to our players AFTER the events in the Easter story? You may remember that I had said Antipas‘ taking as his own wife his brother’s wife Herodias led to his ruin. Actually, it led to his death. Her ambition pushed him where he would not have otherwise gone. Antipas’ nephew and Herodias’ brother, Herod Agrippa (who we meet in the New Testament book the Acts of the Apostles as one of the early persecutors of the new church) had spent and borrowed much money while he was in Palestine. He lived much of his time in Rome and was a close friend of the future Emperor Gaius (the infamous Caligula). 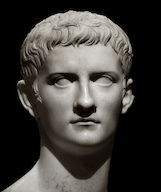 While riding in a chariot with Caligula, he commented that he could not wait until the then Emperor Tiberius was no longer Caesar so that Caligula might have his rightful place. A loyal slave overhearing this relayed it to Tiberius who had Agrippa thrown into prison. When Caligula finally did become emperor, he released his friend and replaced his chain with a gift of one equal in size made of gold. He also made him a king of certain areas of Palestine. When Herodias learned that her undeserving brother had been made a king, she pushed her husband to go to Rome to appeal for the same boon. The tetrarch Antipas was mellowing with age and was unwilling. However, after much prodding from his wife, he began his journey. At the same time that he was appealing before Caligula, the emperor was reading a letter from Agrippa, accusing Antipas of treason against Rome, having entered into alliances with Sejanus, the Parthians (enemies of Rome at that time,) and of gathering a large number of men and arms. When questioned about this army, Antipas admitted to having collected this militia. Caligula promptly confiscated all his property and exiled him for life to Gaul, though allowed Herodias, since she was the sister of his beloved Agrippa, to go free. To her credit, she accompanied her husband into exile, where he died shortly after that. He had ruled from 4 B.C. to A.D. 39, longer than any tetrarch in Palestine, except for Agrippa II, son of his enemy, Agrippa. Three years after the affair with Jesus of Nazareth, in A.D. 36, after having served ten years as military and political prefect of Judea, a revolt started in Samaria. An obscure pseudo-prophet with Messianic ambitions had promised the Samaritans that he would uncover some sacred temple utensils that Moses has supposedly buried on their sacred Mt. Gerizim. The multitude that gathered came armed with weapons and Pilate ordered his troops to block the ascent. It came to a pitched battle. Pilate, having won, executed the leaders of the uprising. 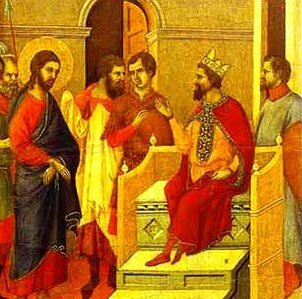 The Samaritan Senate complained to Pilate’s superior, the Roman legate of Syria, who ordered Pilate to return to Rome to answer the charges against him. However, Emperor Tiberius died before Pilate reached Rome. Whether he was tried by Emperor Caligula, we do not know. Nor do we know what ultimately happened to him. Perhaps he was banished to Gaul. Some medieval legends have his restless corpse, accompanied by squadrons of demons, disrupting localities of France and Switzerland, causing storms, earthquakes, and other havoc. A later tradition I came upon while traveling through Switzerland claims that he was ultimately buried in a mountain lake, still called Pilatus (pilatus or “cloud-capped,”) overlooking Lucerne. Each Good Friday the body is said to reemerge from the waters and wash its hands. The early church father Tertullian claimed that Pilate “was a Christian in his conscience”, and the Greek Orthodox church canonized his wife, while the Ethiopian church even recognizes a St. Pilate and St. Procula’s Day on June 25. Saint or sinner, Pilate probably spent the rest of his days as a retired government official, a pensioned Roman magistrate emeritus, enjoying a less than sensational fate. Among the Sanhedrin, the Pharisees had two main schools of thought, those that followed Rabbi Hillel, who stressed moderation and a certain amount of compromise, and those who followed the stricter Rabbi Shammai, who would allow no cooperation with the foreign overseers. The school of Shammai eventually found expression through the Zealots, who ultimately fomented the rebellion against the Romans in A.D. 66 leading to the complete destruction of Jerusalem and the Temple in A.D. 70. It was the school of Hillel that was able to survive and modern Judaism traces its roots back to this school. The Sadducees did not proselytize as did the Pharisees, and as they only drew their membership from the aristocracy and the high priesthood, their party did not survive the destruction of the Temple in A.D. 70. Joseph, called Caiaphas was the high priest until A.D. 39, when he was deposed by the imperial legate of Syria, Vitellius, (who had removed Pilate). Emperor Caligula eventually became jealous of Vitellius’ success in the East and had him removed from office. It was only through much groveling and servility before the emperor that his life was spared. Pilate would have been pleased. The faith eventually arrived in Rome and first came into disfavor under Emperor Nero. A number of persecutions under later emperors did not destroy this faith. Rather, they refined and purified it as its martyrs became witnesses of this changed life (the word martyr in Greek means “witness.”) In the early part of the 4th century the Roman Emperor Constantine, before a battle was impressed to fight under the sign of Christ, and was victorious. Later, in A.D. 312 he made Christianity a legal religion. In A.D. 390 the Emperor Theodosius made Christianity the official state religion of Rome. Very interesting article Bill. Like many, I had indeed wondered what happened to these important historical figures. Thanks for the information.